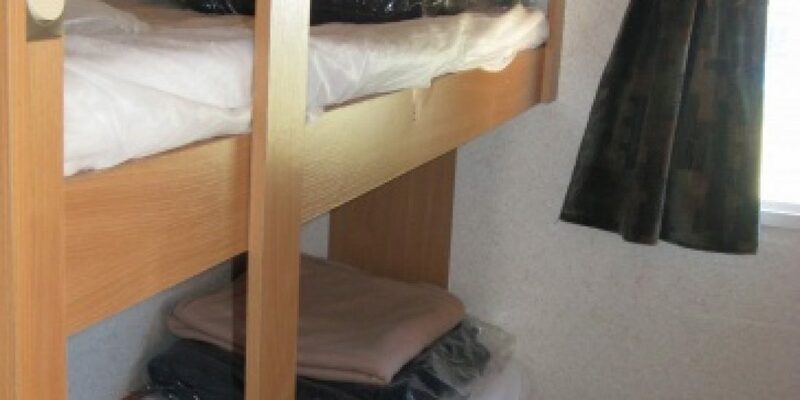 1 bedroom with 1 bunk bed (70 X 180). Please note that children under 6 years old are not permitted to use the top bed. 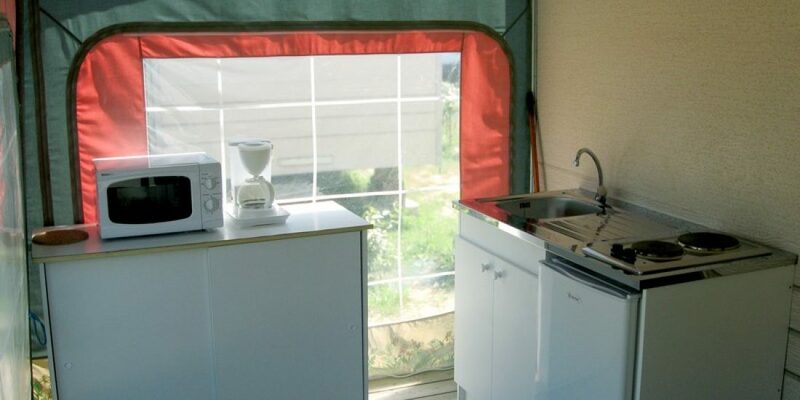 1 kitchen in the awning (wood floor) with a sink, 1 fridge, 1 cooking top, 1 microwave oven, 1 coffee maker and utensils. Breakfast is not provided. No shower and no toilet in the caravan. A sanitary block is located nearby. 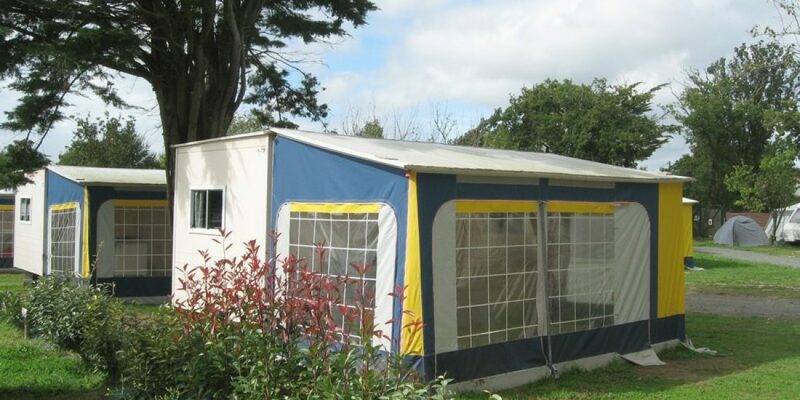 The caravan could be booked from Sunday to Sunday.